Painting can be a very relaxing activity however choosing the right paint brushes for the job, though, can be pretty difficult. But it can also make all the difference in the world. A well preserved brush of high quality can serve you for over a year while the cheaper ones will wear out in no time. To spot a good paint brush look for one with longer bristles. Shorter bristles are more difficult to maneuver and will leave a streaky finish. Under 25mm – These little brushes are the best for small projects. Use them for projects such as toys, ornate boxes, window frames or adding interesting patterns to objects. 25mm to 50mm – This width is best for painting shutters and small furniture like nightstands. 50mm to 75mm – For doors and larger furniture such as cabinets and fences, use these paint brushes. 75mm to 100mm – This size will suit large surfaces like floorboards and walls. You could get an even bigger paintbrush to speed up the process. Different brushes will offer varying degrees of dexterity and speed. These criteria will give you an idea of the range in which you should look. Brush Material – not all paint brushes have bristles. If you already picked the paint, make sure that your brush is up to the job. Natural bristles – Use these types of brushes with oil-based paint. They will become dry otherwise, and will be much less efficient. Manmade bristle – You can use latex-based, water-based and acrylic paint with these brushes. That is the go-to type of brush for house renovations. Foam – While this material gives you the most flexibility and accuracy, it’s hard to clean and easy to wear out. If you don’t mind throwing it out after you’re done, it’s perfect for painting small objects or adding little details. TIP: It’s best that you buy the paint and the brush at the same time to make sure you’re getting the right combination. 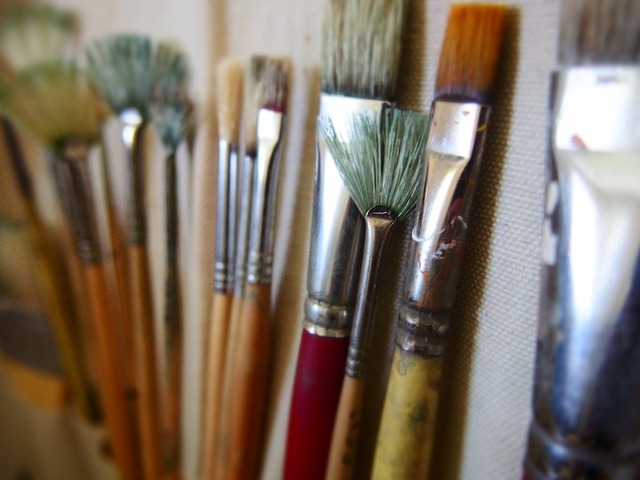 The Paintbrush Style – A brush’s style refers to the shape and how angle the bristles are cut. Angle sash brushes – They have slanted bristles. They work much better than other paint brushes when you want to paint trim or at an angle. Depending on the project, you may want a thin angle sash or a flat angle sash brush. Wall brushes – As the name suggests, they are made to paint large, flat surfaces. It can hold a lot of paint. Roller brushes – If you want an even paint on a large, flat surface, the roller will get you the fastest results. You can use it for floors and walls but, it won’t help with fine details. These are the things you need to know to pick the right brush for the job. Remember that a quality paintbrush matters almost as much as top-notch paint. Make sure you always clean your brushes after painting. Otherwise, the paint will dry on the brush making them unusable. Well, know that you know how to choose the brush, you should think about the paint. One of the most important things you need to think about is the colour. We can help with that too.